Buddy Sload leads Spitfire Racing in a 1-2 finish to earn his first career Turkey Derby victory at Wall Stadium Speedway. Sload and Spitfire teammate Jeff Kot were class of the field for much of the morning, earning the fastest two times in the morning group qualifying session. Their efforts guaranteed both drivers to start within the first three rows after the redraw. Sload would draw the 3rd place pill, while Kot drew the 6th place pill. ‘Flyin’ Ryan Tidman drew the pole position and led the field to green for the 30-lap feature. In total the top-10 qualifiers of the 18 car field redrew for starting position. From third, Sload wasted no time making a daring move to the inside of Tidman for the lead. Sload certainly had his hands full however, as multiple cautions for various on-track incidents preceding to multiple double-file restarts. The ‘Jerzy Jet’ Joey Payne entered the event as one of the favorites to win it. Two incidents plagued his efforts, one of which was in turn 4 soon bringing out the first caution of the afternoon. The second followed with on-track contact with his son Joey Payne III in turn one, which ultimately ended his afternoon. This was the first event in 2018 that Joey, Joey III and Anthony Payne were on track competing with each other. In the meantime, Jeff Kot raced his way into the second position, racing wheel to wheel with Sload on multiple restarts. 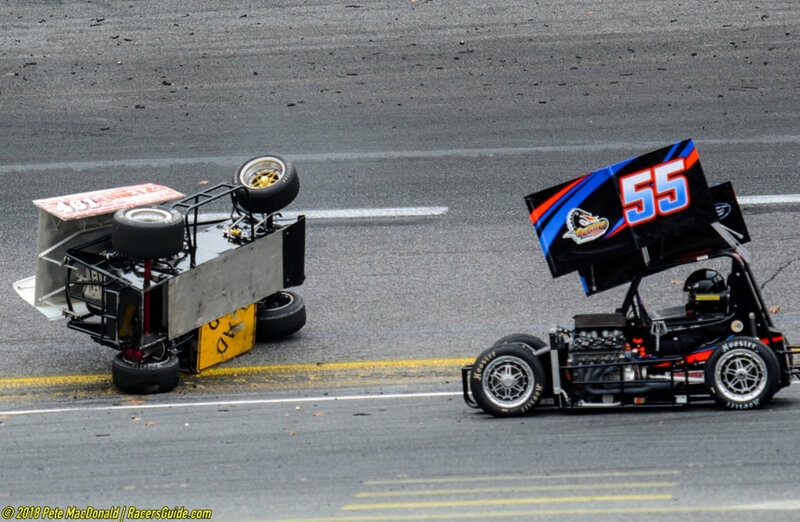 Just when it looked like it could be Kot’s afternoon after clearing Sload on the high side in turn 2 on the restart, a breathtaking incident took place with Geoffrey Sutton flipping end over end in turn 1. To the delight of everyone in attendance, Sutton walked away unharmed. The incident caused a brief red flag period. It was determined by race control that Kot and the field did not complete a full lap prior to issuing the red flag. Per the ATQMRA rulebook, the field was reset to the prior lap, earning Sload the first position on the proceeding restart. On the restart Sload would edge teammate Kot, and never looked back. Sload and Kot would race bumper to bumper all the way to the finish, however Kot would fall just short in earning victory after an impressive outing on his behalf. Buddy Sload went on to win Turkey Derby XLV, with Jeff Kot finishing runner up earning Spitfire Racing a dominant 1-2 finish. 2018 ATQMRA Champion Matt Janisch would finish third, followed by 2018 5x ATQMRA feature winner Joey Bailey in fourth, and making is only appearance of 2018 was Briggs Danner rounding out the top-5. Finishing behind Danner was fellow invader Kyle Reinhardt who earned a 6th place finish, 5x ATQMRA Champion Ryan Tidman held onto 7th after starting from the pole, Kyle Taraska and the Berkeley College entry finished 8th, while Richie Davidowitz and Cole Mullen rounded out the top-10 respectively. Another notables from the event include the mechanical woes of drivers Steve Craig and ‘The Rocket’ Ronnie Mullen. After running a fast enough lap to earn a spot in the final group of qualifying, Craig experienced a mechanical failure, forcing him to not making the grid for the feature event. While Mullen made it out on to the track for pace laps, a rear suspension failure plagued his efforts prior to the drop of the green flag. Turkey Derby XLV officially concludes the 2018 ATQMRA season. Through 14 sanctioned events, the series experienced 8 different feature winners and a championship battle that came down to the closing laps of the final points event earlier this season. The ATQMRA would like to formally thank title sponsor Hoosier Mid-Atlantic and presenting sponsor VP Racing Fuels for their support during our 2018 campaign. Furthermore, we thank associate sponsors Diversified Machines INC, Pastor Bob Menshener of Racing with Jesus Ministries, the RPM Podcast and Bob Emmons of MNO for their contributions as well. Bob is currently recovering from a surgery, and the ATQMRA family looks forward to his return to the racetrack in 2019. BETHEL, NY – Joey Bailey earned his fifth Hoosier Mid-Atlantic ATQMRA powered by VP Racing Fuel feature victory of 2018 this weekend in the season points finale at the Bethel Motor Speedway. However, his victory would not be enough to make up his championship points deficit, ultimately crowning Matt Janisch at the 2018 ATQMRA champion. 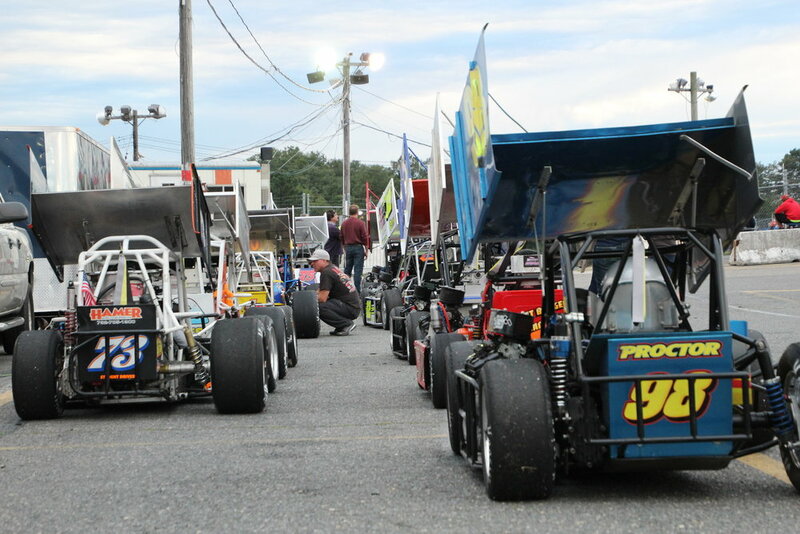 Seventeen cars were on hand to close out the “regular season” of the 2018 ATQMRA campaign. Weather played a role in the weekend schedule, as speedway officials battled overnight rain and morning showers leading up the event. Bethel Motor Speedway did a phenomenal job prepping the track and pit area to allow a full schedule of events to be ran and completed. Buddy Sload won a relatively calm first heat race, leading wire to wire earning him the pole position for the 30-lap feature. Matt Janisch went on to win the second heat of the afternoon, setting the tone early that it would be a force to be reckoned with in the championship race. 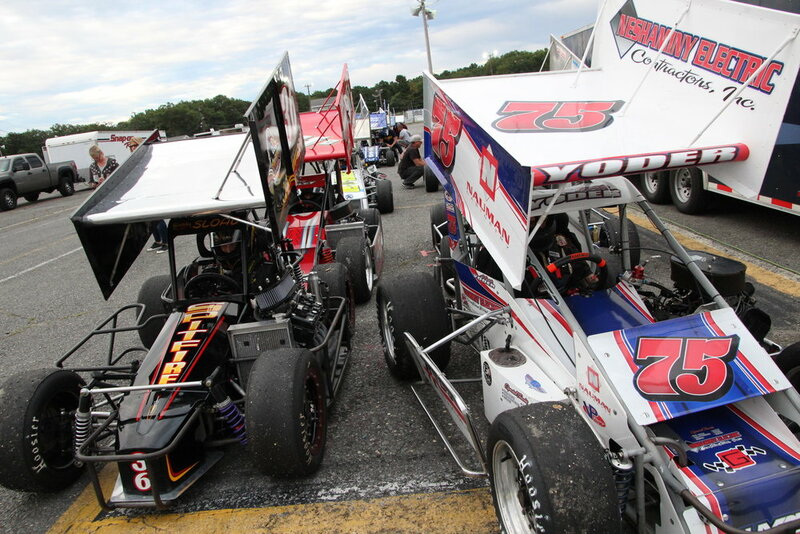 The second heat race featured the only incident of the day, as the father and son duo of Ronnie and Cole Mullen made contact in turns 3 and 4. Cole, overshooting the third corner entry made contact with his father Ronnie. There was no damage to either vehicle and both would continue on to finish the heat and feature races. Entering the event, the hype was set on the championship battle. Matt Janisch entered the event as the leader, 16 points ahead of Joey Bailey and 24 points ahead of Ryan Tidman. With the three drivers separated by only 6 on track positions, all three had a mathematical chance to earn the championship. From the pole, Buddy Sload and his Spitfire Chassis blasted off like a rocket, setting the pace for much of the first half of the event. As Sload led, many eyes were on the second place battle featuring Janisch and Bailey respectively, with championship implications on the line. As the leaders bobbed and weaved through lapped traffic, a thrilling 3-car battle for the lead went on for multiple laps, bringing the crowd to their feet. Bailey took advantage of the lapped traffic, and positioned himself to make a late race charge for the lead. Bailey not only passed one, but two cars being both Jansich and Sload on the outside to eventually earn the lead. Joey Bailey would go on to earn his fifth feature victory of the season. Bailey ended an impressive championship charge, winning three of the remaining four races on the calendar. However, the consistency of Matt Janisch was too much for Bailey to overcome, earning Matt Janisch his third championship in ATQMRA. Entering Bethel, Janisch had to finish fourth or better to clinch the championship, regardless of how his competitors finished. Officially Matt Janisch is the 2018 Hoosier Mid-Atlantic ATQMRA powered by VP Racing Fuel Drivers Champion, edging Joey Bailey by 8 points. After earning a fifth place finish, Ryan Tidman officially rounded out the championship podium falling 32 points short behind champion Janisch. 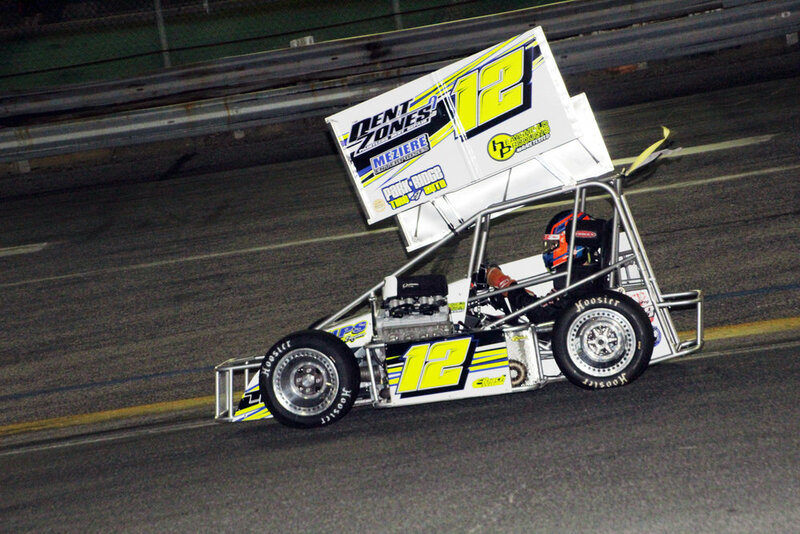 The “Jerzy Jet,” Joey Payne ended his 2018 campaign strong with a fourth place finish. Richie Davidowitz continues to impress earning a strong 6thplace finish in his second start of 2018 in the #25 machine. Jeff Kot, Mark Yoder, Cole Mullen and Tommy Catalano would round out the top 10 finishing positions respectfully. 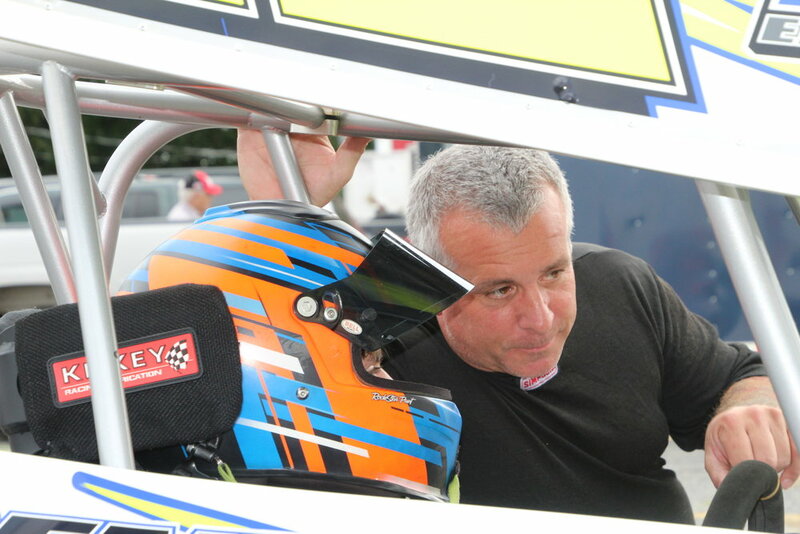 Catalano, who earned the 2018 NASCAR Wheelen Modified Rookie of the Year Award made a respectful ATQMRA debut, leading the charge of the New York “invaders” Saturday afternoon. Other drivers to make their 2018 ATQMRA debuts included long-time veteran BJ MacDonald, 2014 ATQMRA Rookie of the Year Geo Sutton, and New York invader Kevin Wilson. 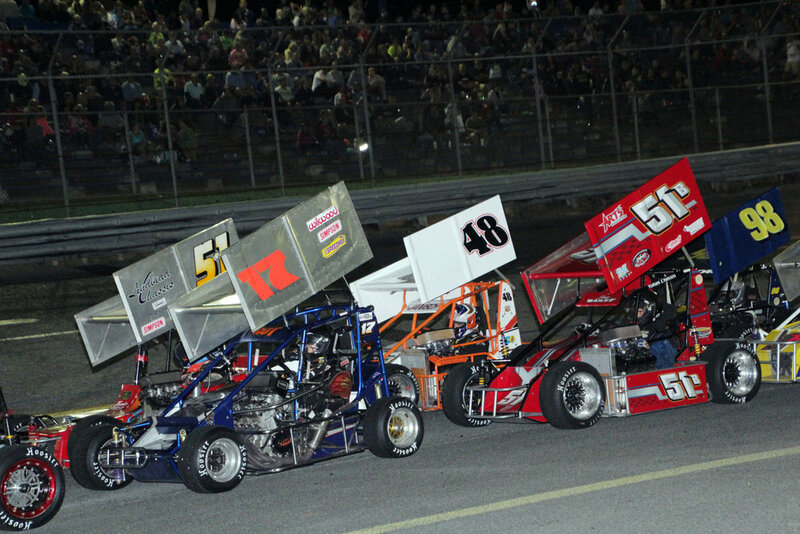 The 2018 Hoosier Mid-Atlantic ATQMRA season will officially close with the 45thAnnual running of the Turkey Derby at Wall Stadium Speedway. This will be a 30-lap, non-points event that will feature a winged aero-package for the first time in event history since the inception of Wall Stadium’s inner oval. Joey Bailey in Victory Lane at Waterford. Waterford, CT- For the fourth time this season, Joey Bailey earned an ATQMRA feature victory, winning The Greg Hodnett Memorial at The New London - Waterford Speedbowl. 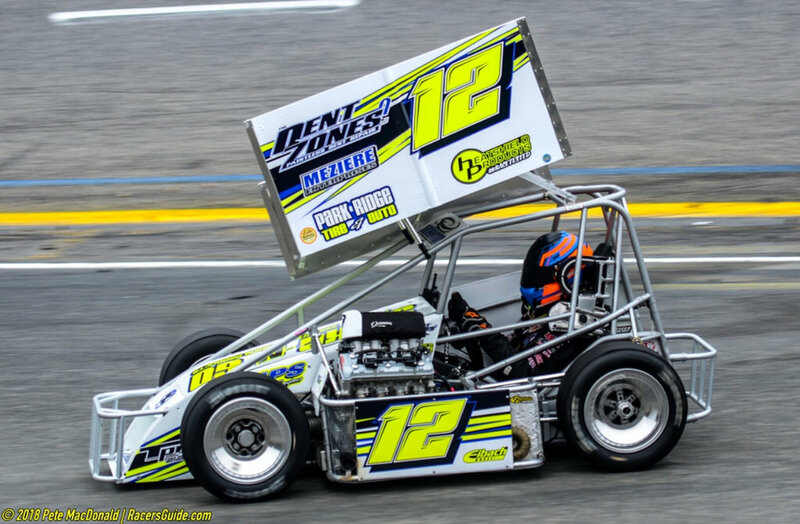 There is always excitement in the air when the Hoosier Mid-Atlantic ATQMRA powered by VP Racing Fuel visits Waterford, CT. Over the past few seasons, the series has become a fan-favorite and the drivers did not disappoint Saturday night. Buddy Sload started on the outside pole leading much of the first half of race. While setting the fastest lap of the evening, many believed Saturday would be his night yet again. Unfortunately, the defending ATQMRA Waterford winner (May, 2018) experienced a mechanical failure which would derail his efforts with sixteen laps remaining in the race. This caution provided the opportunity for an intense, wheel to wheel battle by respective championship leaders Matt Janisch, Joey Bailey, and Ryan Tidman in the closing laps of the 27-lap feature. With huge championship implications on the line, it was no secret these drivers would put on a show. 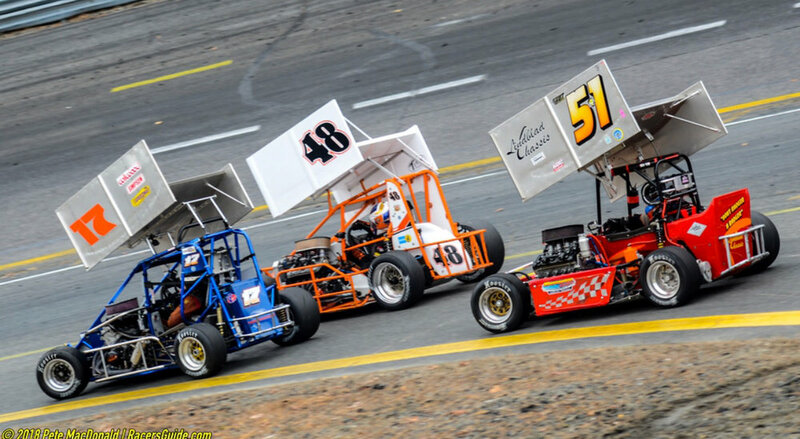 Ryan Tidman led the charge for much of the second half of the race, with Janisch and Bailey keeping him honest as the high speed battle thundered around the 3/8 mile Speedbowl. Bailey, who not only out-dueled points leader Janisch, but Tidman as well, passed Tidman for the lead off of the fourth corner with a handful of laps remaining. Bailey never looked back, adding another trophy to his collection winning a series high forth feature. With this victory, Joey Bailey has closed the points gap to four on-track positions, heading into the series’ championship event in Bethel, NY on Saturday, November 3rd, 2018. Anthony Payne finished a very impressive forth, in his second start of 2018. Jeff Kot finished fifth, rounding out the top five of the fifteen car field. The evening’s heat races were won by Buddy Sload and Cole Mullen. As mentioned, Sload would experience a mechanical issue in the feature, which resulted in a thirteenth place finish. Cole Mullen went on to finish a respectable sixth. Richie Davidowitz made a strong team debut finishing seventh. A special shoutout to New York racers Cameron Ruggiero, Chad Heywood and Jim Fleischman, who all made their 2018 Hoosier Mid-Atlantic ATQMRA debuts this weekend. With great appreciation, we recognize Jeff Kot, who elected to sponsor this weekend’s event in honor of the late Greg Hodnett. On behalf of Kot and the ATQMRA, a portion of race day earnings and as well as the 50/50 raffle will be donated to the Hodnett family to assist them in their time of need. The Hoosier Mid-Atlantic ATQMRA will conclude their 2018 campaign at Bethel Motor Speedway, on Saturday, November 3rd, 2018. The stage is set for a fierce championship battle, which will surely come down to the closing laps of the event. For the fourth time this season, the Hoosier Mid-Atlantic ATQMRA powered by VP Racing Fuel raced at the historic Wall Stadium Speedway. Entering the event, the focus was set on Matt Janisch, Ryan Tidman, and Joey Bailey, who were all separated by 28 points prior to the drop of the green flag. The pit area at Wall Stadium was in a rather somber mood Saturday morning due to the passing of 410 Sprint Car racer Greg Hodnett this past Thursday in Pennsylvania. To honor Greg and his family, all ATQMRA competitors sported silver and yellow ribbons on their cars. Furthermore, a “missing man” formation was performed during the pace laps, leaving the pole position empty and the feature was extended to 27 laps honoring the number Greg made famous over his career. Mark Yoder started his evening off strong, by winning the first heat race of the evening. Kyle Taraska won the second heat of the night. Both drivers would start on the front row respectively due to their heat victories and handicapping. At the drop of the green flag, Kyle Taraska powered by pole sitter Mark Yoder on the second lap of the event. Taraska would go on to lead much of the event prior to a caution flag for fluid on the track with 11 laps remaining. On the restart, Joey Bailey, who is poised to remain relevant in the championship conversation, got along side Taraska off of turn two as the drivers returned to racing. 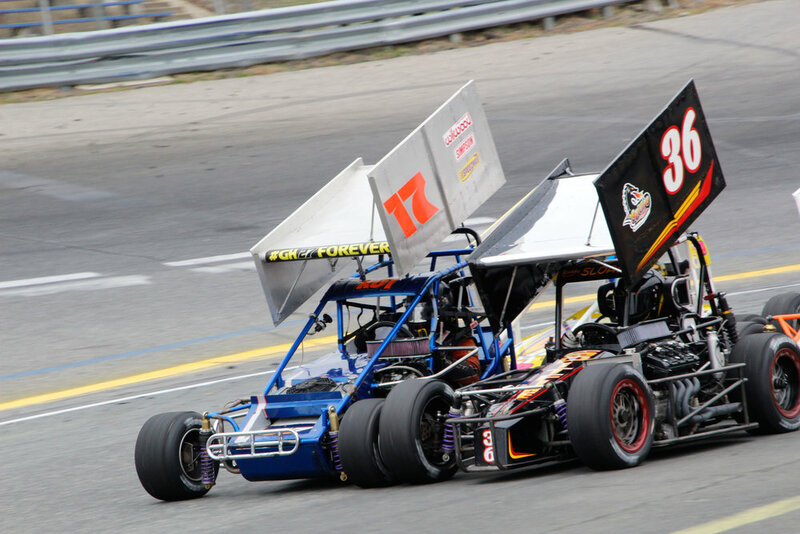 Taraska would not be denied, as both Bailey and Taraska remained gridlocked, wheel to wheel, down the speedway’s backstretch entering the third corner. As Bailey cleared Taraska, Kyle crossed Joey over exiting the fourth corner, retaking the lead with a handful of laps remaining. These two drivers put on quite the show for the packed stands. Although Joey Bailey put up a fierce fight, he was no match for Taraska as he went on to earn his first career feature victory in the ATQMRA. In front of many Berkeley College representatives, Kyle Taraska won the 27-lap feature in thrilling fashion. Taraska also earned Colin Martin’s Spitfire Racing team their second win of 2018. Kyle Taraska is now the eighth different winner in 11 events this year, making 2018 the most competitive ATQMRA season on record. Mr. Consistency, Matt Janisch finished a strong 3rd, passing Kot in the final laps, to earn Yuhas Chassis two of the top-3 podium positions. Matt continues to lead the championship standings with only two points races remaining in the season. Jeff Kot continues to impress, finishing fourth, running 3rd for almost the entire event. Ryan Tidman rounded out the top-5 for the Boyd Racing team, however lost 8-points to championship leader Janisch. Tidman entered Wall Stadium second in points. 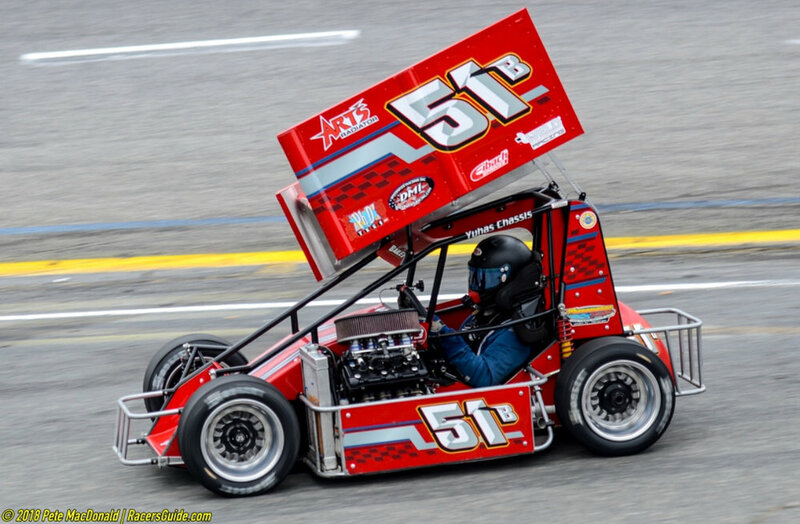 Making impressive debuts were two talented racers “The Tornado,” Anthony Payne and Andrew Krause who made their 2018 ATQMRA debuts this weekend at Wall Stadium. They are sure to be a factor in the remaining races. The Hoosier Mid-Atlantic ATQMRA will take the next weekend off prior to heading north to the Waterford Speedbowl, for the rescheduled “Wings N’ Wheels” event on Saturday, October 6th, 2018. Our 2018 champion will officially be crowned at Bethel Motor Speedway on Saturday, November 3rd, 2018. For more information about upcoming events, visit ATQMRA.com.